Little Florence-based indie LKA have announced that their creepy asylum-set game The Town of Light will release February 26th on PC. Looking for a cracking indie? Take a look at our favourites in the 20 best indie games on PC. 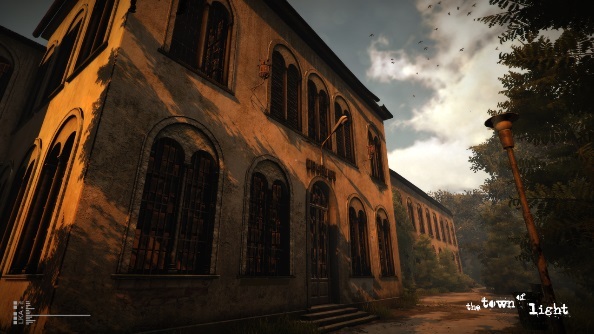 The exploration-based game takes players to the Volterra Psychiatric Asylum, a real place in Italy that was condemned in the late 1970s. The story of the asylum will be told through the eyes of Renee, a young girl who was institutionalised there and suffered at the hands of its doctors and psychiatric practices of days gone by. In the run up to release, LKA will publish nine sections of Renee’s diary on a bi-weekly basis to help flesh out the story and provide players with a thread to follow into the game. I played The Town of Light’s alpha and found its creeping dread and unflinching look at how patients were treated just a few decades ago quite unsettling. It will be interesting to see just how far its story goes in the full version.